Chinzombo’s tag line is ‘wildly luxurious’, which is entirely appropriate. 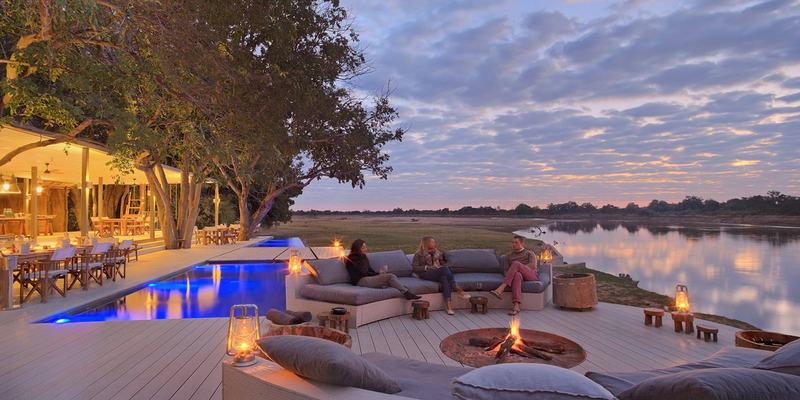 Designed by award winning South African architects Silvio Rech and Lesley Carstens, the visionaries behind top creations such as Jao and Mombo camps, and the iconic North Island in the Seychelles; Chinzombo exudes elegance, luxury and a cutting-edge style quite unlike any other camps in Zambia. 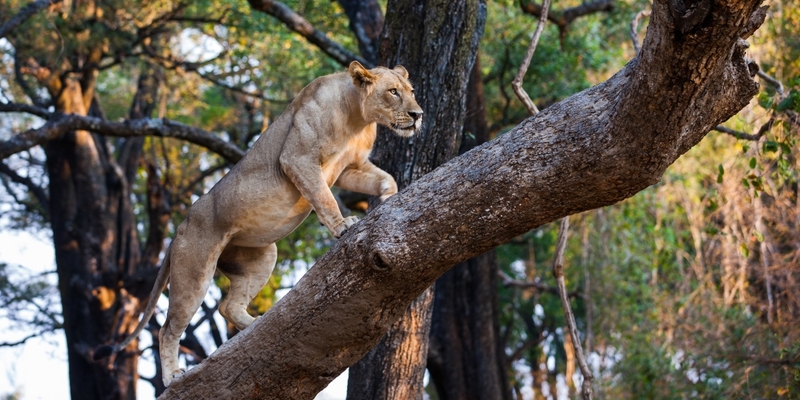 Set within sixty acres of game-rich wilderness on the banks of the Luangwa River, Chinzombo sits beneath a canopy of ancient gigantic msikizi trees, on the site of an earlier camp (of the same name) built by Norman Carr in the 1970’s. The architects honoured the camp’s heritage by using recycled and recyclable materials to build the new Chinzombo. 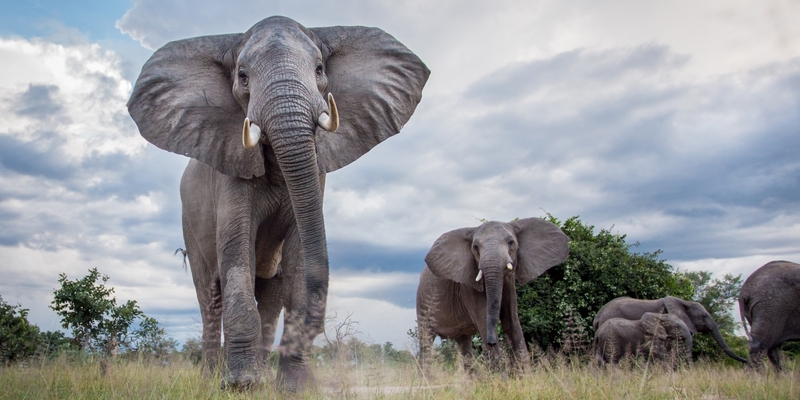 This award-winning camp, named after the chinzombo fruit, is super-luxurious yet retains its bush feel with grass and canvas walls and spacious living areas that blend into the exquisite surroundings. 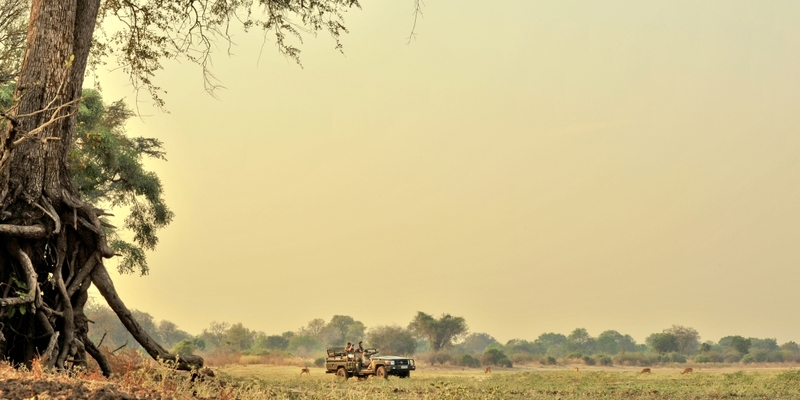 A short private boat crossing delivers guests straight into the central sector of the South Luangwa National Park. Not only is navigating around hippos in the Luangwa River an exciting and scenic way to enter the reserve, but guests manage to avoid any traffic up at the main Mfuwe Bridge Gate. 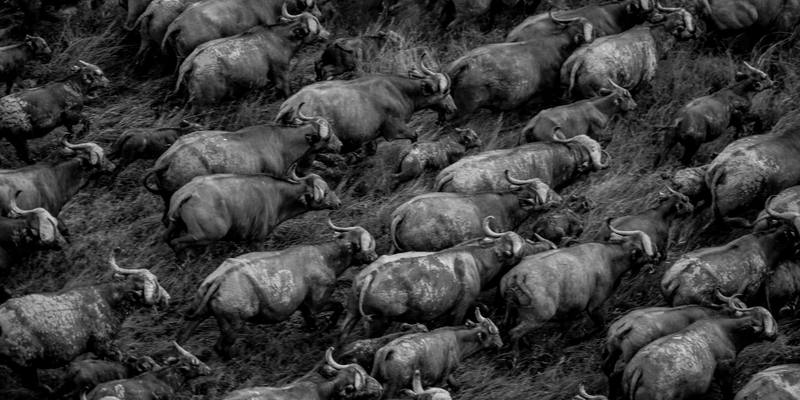 Game densities are very high and the animals are habituated to vehicles, so sightings should be prolific and potentially very close in the central sector. 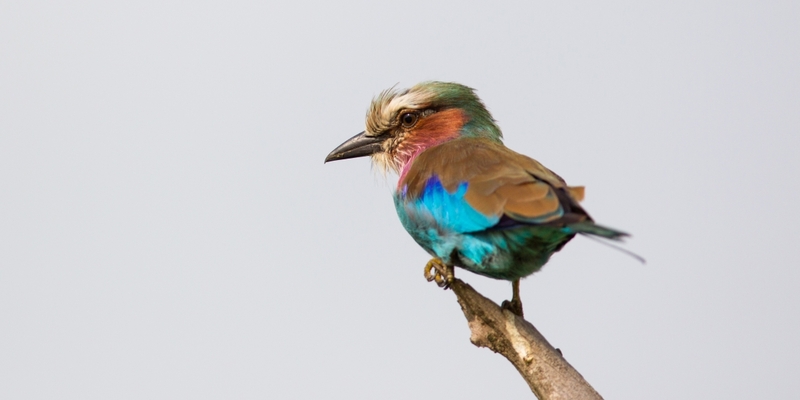 There should be plenty of elephants, leopards, lions, jackals, spotted hyenas and buffaloes, as well as an array of lesser game and some superb birding. Wild dogs are around, but tend to be sighted quite rarely. The team at Chinzombo aims to tailor each guest's activities to suit them, rather than asking them to fit around a specific schedule. 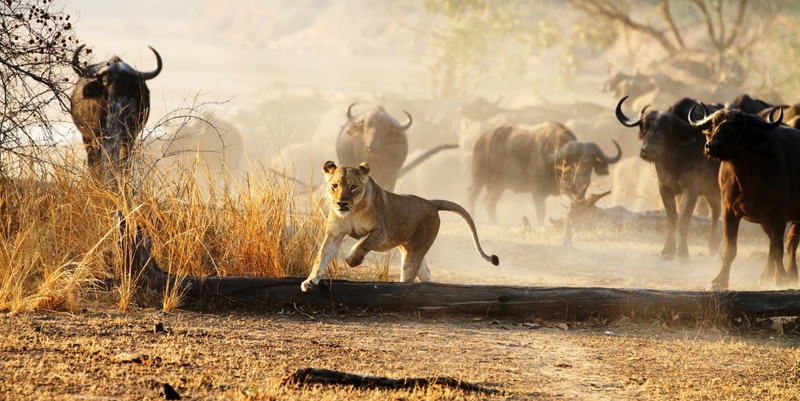 Options include guided day and night game drives, and walking safaris in the park accompanied by one of the expert guides and an armed scout. In between activities, guests can enjoy the internet access, exercise and yoga area, spa facilities and refreshing plunge pools. 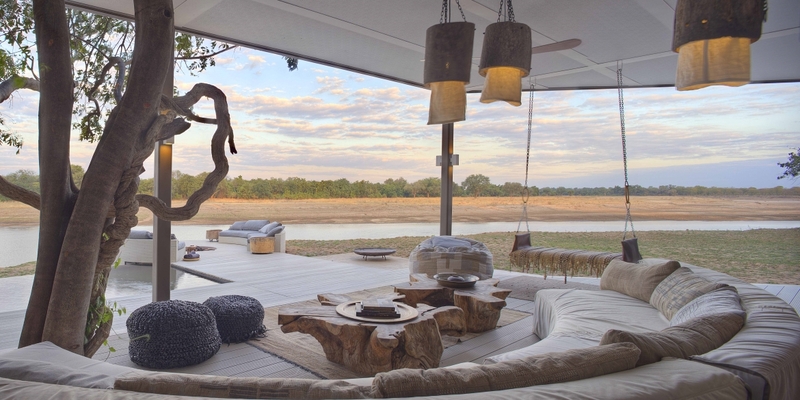 No matter the pursuit, sustainable style is the common thread that connects every facet at Chinzombo There are plenty of shady decks overlooking the Luangwa to relax and soak in the views. Inspired by local Zambian buildings, the six stunning villas are vast, airy, and cleverly designed to blend in with the surroundings. One is a larger villa with two bedrooms and two bathrooms, perfect for families or small groups. Gigantic, ancient shady trees offer peace and tranquillity for guests, and each luxurious villa has its own private pool, cooled sleeping areas, and massive bathroom. The amenities are excellent and include a minibar, tea/coffee station, and a WiFi. 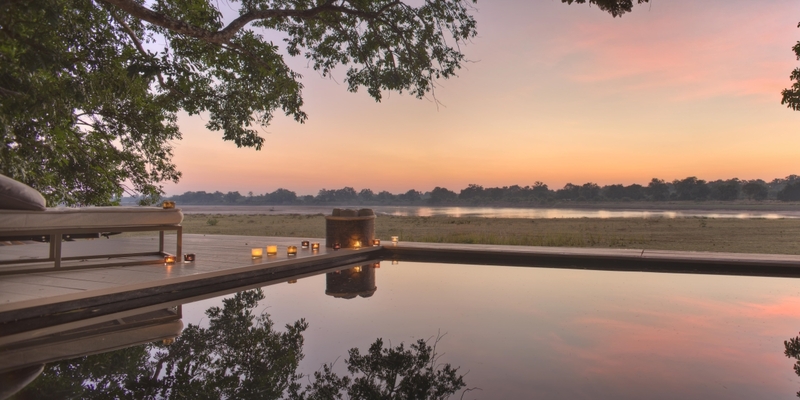 From the private deck, take in the sights and sounds of the bush or cool off in the refreshing plunge pool while elephants and giraffes come down for their evening drink at the water’s edge. The villas are connected to the main areas via winding footpaths through the trees. Set on white-washed decking, the contemporary open-plan main communal area has been cleverly built around the trees, which not only provide shade but also create a striking feature. 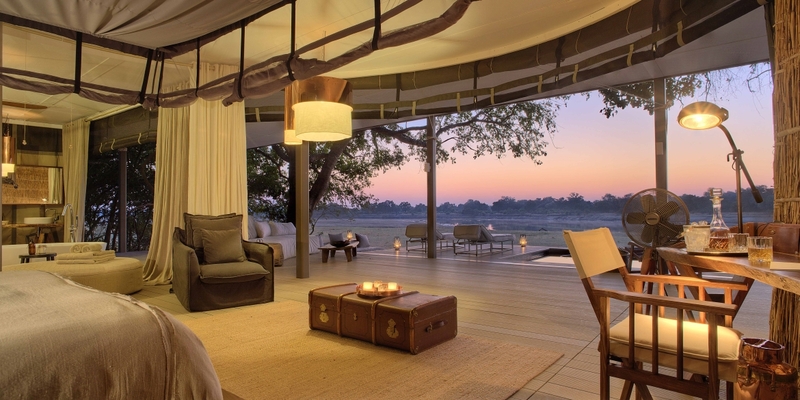 To one side, an inviting lounge area faces the river, making the most of Chinzombo’s lovely views. Just behind is a well-stocked bar complete with coffee machine, and a small library of reference books. At the other end is a covered dining area, although more often than not guests at Chinzombo will find themselves enjoying the excellent food alfresco-style in the shade of a tree or under the stars. The firepit is a great place to exchange stories after dinner, and it's also here that breakfast is usually served, with eggs cooked to order over an open fire; a fantastic spot to start the day with uninterrupted views over the river. Chinzombo also has a curio shop and a wine cellar.